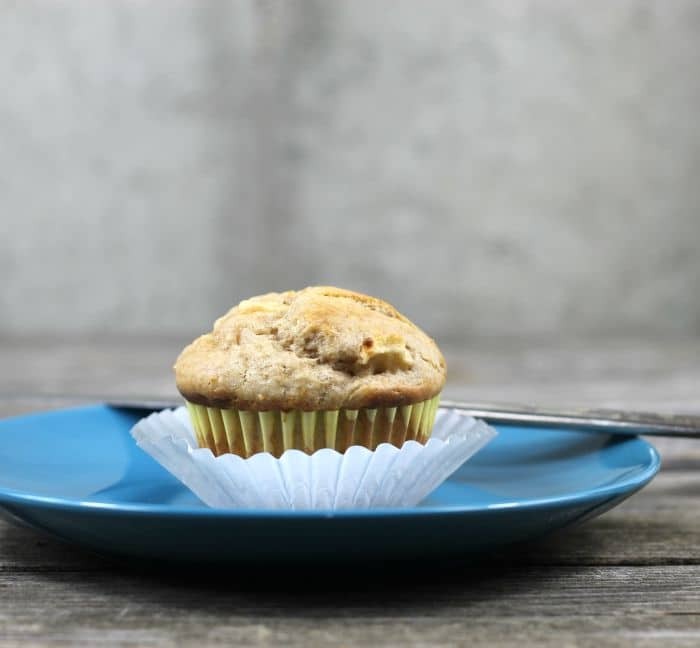 Apple Cream Cheese Muffins are nice moist muffins made with apples, cream cheese, cinnamon, some chopped pecans along with the other ingredients. 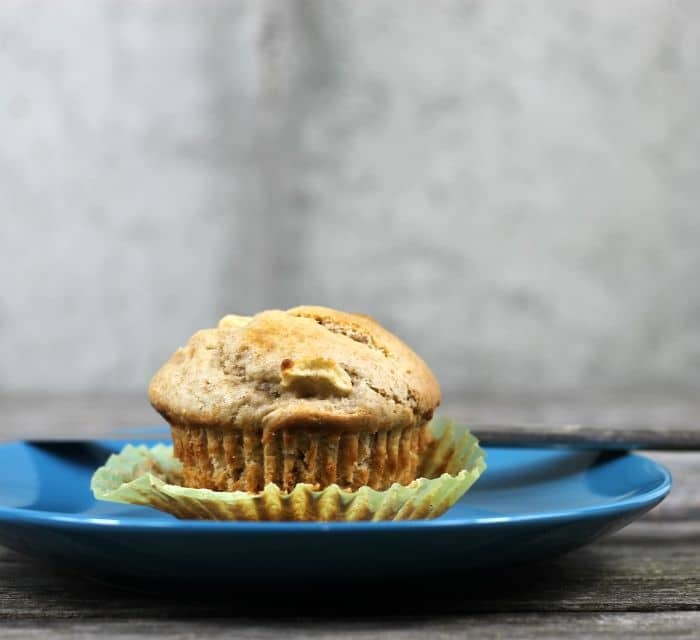 Apple cream cheese muffins, the cream cheese and the apples in these muffins keep the muffins tender and delicious. What is your go-to breakfast? Mine is a bowl of cereal during the week, but if there are muffins in the house I will gladly switch out the cereal for the bowl of cereal. I like to make a bunch of the muffins and then freeze them and this way they are ready to go whenever I have a craving. Plus I like to share the muffins with our kids when they come to visit. Our youngest son has an apartment close to where we live so when he comes over I like to stock him up with food. I guess that is just the mom thing to do. Muffin batters are easy to make. When mixing the batter together add the liquid ingredients to the dry ingredients. Never over mix the batter, it’s okay if there are some lumps in the batter. If beaten too long the gluten in the flour will develop and toughen it; the muffins will be coarse and full of tunnels. What is your favorite muffin? Here are some different ideas for muffins. Apple Cream Cheese Muffins nice moist muffins made with apples, cream cheese, cinnamon, some chopped pecans along with the other ingredients. 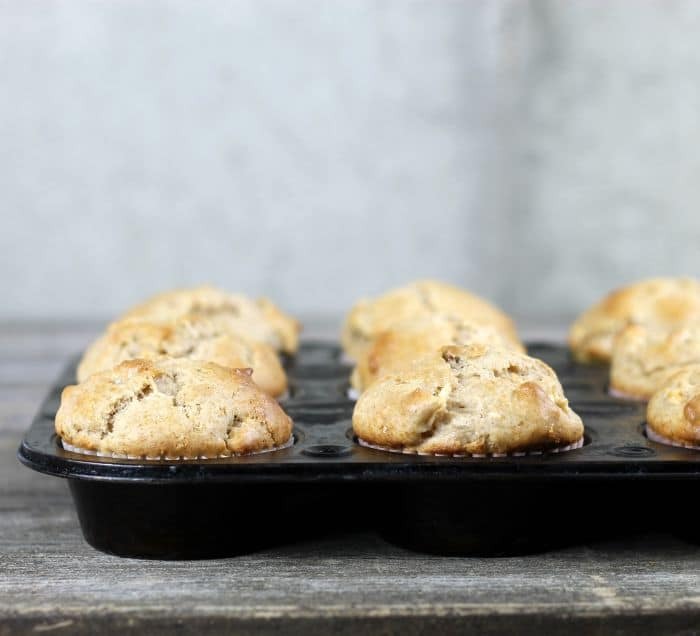 Preheat oven to 375 degrees F. Line muffin tins with paper liners. With an electric mixer beat the cream cheese add the butter and mix together. Add the sugar and blend in. Add the egg and beat in. Next, add the milk and blend in. Sift together the flour, baking powder, baking soda, cinnamon, and salt. Add the flour mixture to the wet ingredients and mix just until mixed together. Do not over mix. Fold in the apples and pecans. Fill muffin tins about 3/4 of the way full. Place in the preheated oven and bake 18 to 20 minutes or until muffins are lightly brown. Remove from the oven and cool completely on a cooling rack. These muffins freeze nicely. For a quick thaw place the muffin in the microwave and under defrost microwave for 20 to 30 seconds. 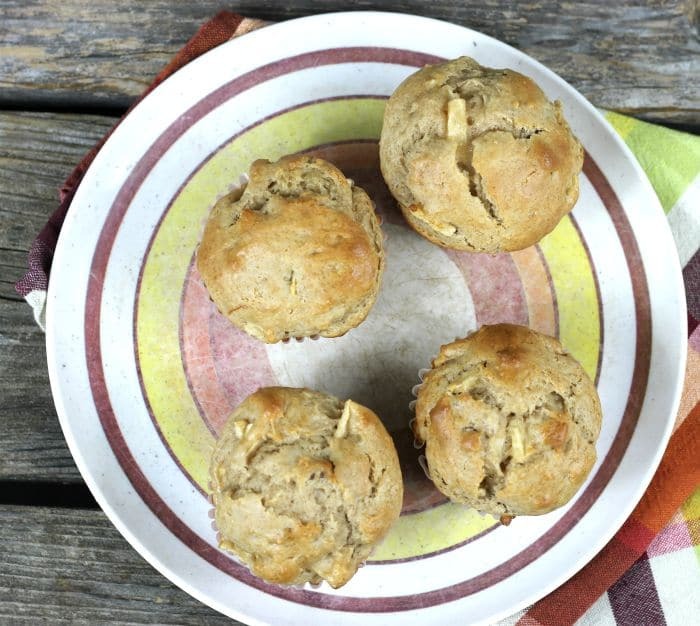 Moist, tender, fruity and nutty…what’s not to love these beautiful muffins? I’d take a muffin for breakfast any day. Today, I had more wholemeal sprouted spelt cookies. Tomorrow, we’ll have rolls. I don’t think I have a go-to breakfast but… I work at home so that makes it easier for me to just eat leftovers from the night before or whatever. Tim though, he eats cereal during the work week or porridge. On the weekends, it will vary depending on where we’re going or who wakes up first. Love that you keep muffins in the freezer. I’ve not had a bake in the freezer in a long time. Well, actually, probably not since I started working from home. I guess what makes sense. Anyway, Happy Weekend to you and Mike! I usually sleep through breakfast! I might be tempted to get out of bed sooner if these were waiting for me! You said the magic words apples and cream cheese – two of my favorite things!! Delicious!